MobilePeopleMeter is the audience measuring solution, which turns mobile phone, smartwatches, or tablet into “peoplemetering” device. MobilePeopleMeter solution relies on patented acoustic signature generation method and efficient audio signature matching algorithms. Mobile implementation allows 24-80 hours of continuous signature generation and logging on mobile phone without battery recharge. Supported mobile platforms: Android, iOS, Windows 7/8/10, Windows Phone and other platforms based on ARM or 0×86 architecture. UltraCode solution allows embedding information into high-frequency audio signals, which is almost inaudible to human ear, but can be reproduced by most PC/TV speakers and picked up by most device microphones. This technology can be used in location-based services, security and proximity-based applications. We provide several variants of UltraCode solution which might be better suited for different applications. Check out SoundLogin.com to see technology in action. Cifrasoft is a technological company developing ground-breaking solutions for acoustic connectivity, acoustic watermarking, audio fingerprinting and audio/video classification. Cifrasoft’s innovative solutions simplify user experience and bring interactivity to mobile e-commerce, mobile advertisement, second screen and social TV applications. Our technology has been successfully deployed in millions of smartphones, tablets, and other mobile devices. Cifrasoft’s growing IP portfolio and vast expertise in digital signal processing delivers competitive advantage to our customers and R&D partners. 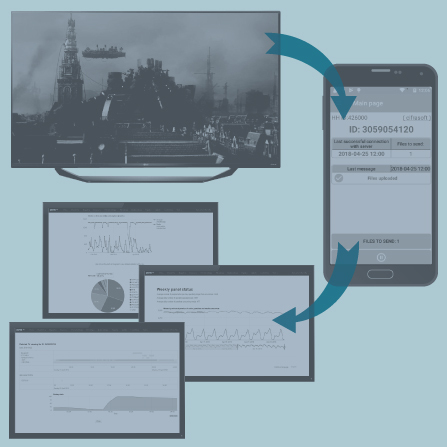 Our acoustic connectivity technology delivers software-based device-to-device communication capabilities to smartphones, tables, smart TVs and PCs. Our technology complements Bluetooth, WiFi, or NFC technologies. Unlike traditional wireless communication systems, acoustic connectivity utilizes mobile device speakers and microphones and employs unobtrusive sound signals or semi-ultrasonic signals to transmit digital information between devices. We offer high-capacity short range communication solution, which may compete or compliment NFC in many use cases, such as device pairing and network discovery. In addition, we also offer long-distance low-capacity communication solutions which may be used for in-door user positioning, presence detection, and content linking. Our acoustic watermarking solution can be used to embed inaudible information-bearing signals into speech or music audio streams. Our watermarking technology is exceptionally robust against common audio distortions, such as lossy audio encoding, severe low-pass filtering and especially propagation over open-air acoustic channel. As a result, our watermarks can be detected by mobile phone located within several meters from watermarked sound source. Moreover, thanks to highly efficient implementation and optimized detection algorithms watermark detection time is usually under 2-3 seconds. Cifrasoft’s patented acoustic fingerprinting technology allows quick identification of noisy audio signals transmitted over open-air acoustic channel. 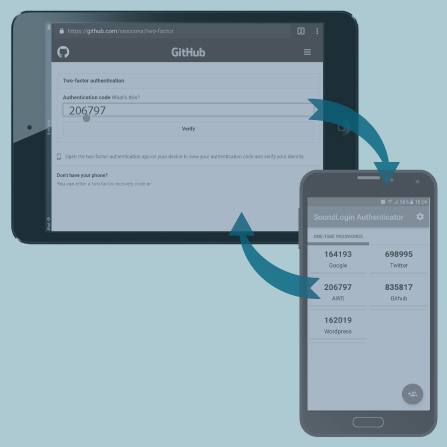 Unlike most competitive technologies our unique algorithms permit not only server-based identification, but also real-time content identification by stand-alone mobile device without server interaction. In addition, our fingerprinting algorithms are specifically designed to be used jointly with acoustic watermarking and sound classification algorithms, thus delivering the most CPU efficient joint fingerprinting-watermarking-classification solution for mobile applications. 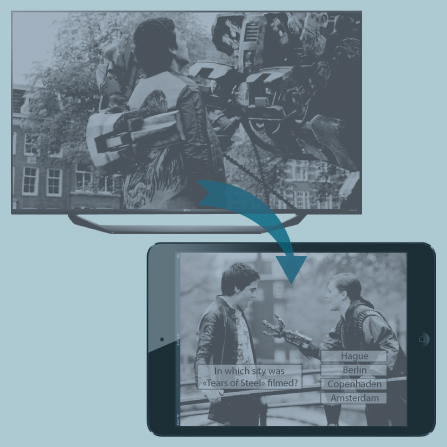 Cifrasoft's multimedia content classification technology allows real-time tagging of video streams allowing speech/music discrimination, genre classification, advertisement/promotion detection, violence detection. Cifrasoft has vast expertise in developing acoustic-related mobile applications and middle-ware for Android, iOS, Windows, Linux and other mobile and desktop platforms. Our server-based solutions for broadcast content identification and second screen and social TV platforms rely on parallel computing and nVidia GPU. We appreciate your interest in our technology and solutions, and we want to make it as easy as possible for you to get your questions answered. Please contact us in one of the following ways.